At Ellerslie Dental Studio our mission is to provide quality care for families throughout Edmonton including patients in Allard, Macewan, and Rutherford, AB. We are able to do this thanks to our dentists Dr. Ashim Goswami, Dr. Dionysios Tzoumas, and Dr. Sofia Khan. All services are provided by general dentists. Learn more about them below and call us at our Edmonton dental practice if you would like to schedule an appointment! 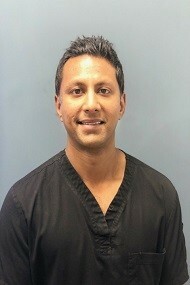 Dr. Ashim Goswami graduated from the University of Alberta and has been practicing general dentistry since 2006. The specific areas of dentistry which he is passionate about include oral surgery, dental implants, snoring and sleep apnea treatment, comprehensive esthetic dentistry and dental laser therapy. Dr. Goswami provides all general dental services to his patients including fillings, root canals, crowns and teeth whitening and his dedicated staff are commited to providing you with a comfortable and memorable patient experience. 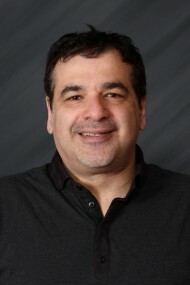 Dr. Tzoumas obtained his first dental degree from the University of the West Indies in 2004. After working for several years internationally, he moved to Canada and applied to the Advanced Placement Program at the University of Alberta. Among many applicants he was one of three that was chosen for the program. He received his Doctor of Dental Surgery Degree D.D.S., from University of Alberta in 2014. During Dr. Tzoumas’ work internationally he has learned to embrace diversity and appreciation in varied cultures and backgrounds of all his patients. He is fluent in English, Greek and knows basic Spanish. He understands the important relationship between him and his patients. He believes that is the foundation of good dentistry. Dr. Tzoumas performs a wide range of dental treatments that include: fillings, root canal treatments, bonding, crowns, bridges, dental extractions including wisdom teeth removal, porcelain dental crowns and veneers, esthetic dentistry, Invisalign®, teeth whitening, and implant dentistry. His focus is to not only treat dental disease, but to help you understand how improving your oral health is essential to your overall health. He aims to provide exceptional dental work using state of the art technology to bring out the best in every smile. Pursuing his specialized interests in comprehensive aesthetic dentistry and Implants, he continues his education by acquiring numerous certifications and credentials in this field. Dr. Tzoumas believes that cosmetic dental reconstruction and smile makeovers are the blending of the science of dental medicine with the artistic talents and proficiencies of the dentist. He works with proven, state-of-the-art dental procedures and materials, and uses the most reliable techniques. In his leisure, Dr. Tzoumas enjoys collecting art and spending as much time as he can with his wife Zhara and three kids, Yianni, Eleni, and Mario. Dr. Tzoumas welcome all patients! 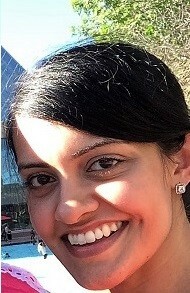 Dr. Sofia Khan received an Honours BSc from the University of Toronto with double majors in Zoology and Biology and a minor in Near Eastern History. She attended the DDS program at New York University College of Dentistry and graduated in 2006. Dr. Khan returned to her hometown of Toronto soon afterwards and practiced general dentistry in family and emergency clinics in the city. She has been a clinical instructor at the Faculty of Dentistry, University of Toronto, in the oral diagnosis and emergency departments and is a member of the Alberta Dental Association. She moved with her family to Edmonton in the Spring of 2013 and became a new mom in December with the birth of her baby daughter, Alina. In her spare time, she enjoys outdoor activities and the arts and is looking forward to experiencing all that Alberta has to offer.